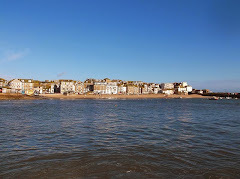 Its been a lovely weekend in St Ives - quiet and peaceful - which is nice before the Christmas and New Year rush starts in a couple of weeks. Here is a short vide to to enjoy - filmed yesterday - simply the tide and waves washing into St Ives Harbour on a Winter afternoon - with nothing but the sound of surf and seagulls. Enjoy.